Jack Lowenstein, co Chief Investment Officer at Morphic Asset Management has not taken the conventional path into professional investing. Having started his career as a journalist, Lowenstein has spent the last two decades investing in global equities. He describes himself as a ‘frontier investor’ willing to go where many are not. In this exclusive interview Lowenstein shares some of his most painful and some of his most rewarding investments and the lessons he has learnt along the way. Q: How did you get into investing? I started my career as a journalist, and in my early thirties got lucky enough to get into small-cap Australian stockbroking, which taught me a lot of valuable skills. I was very lucky that from there I joined Hunter Hall. I joined the organisation in 1997 when it had a specific challenge, which was to fix up a small company called Kresta, which makes window blinds. Peter Hall hired me to have a proxy battle to remove the board and management and put a new team in place. I ended up joining that team and helping to execute a turnaround there, which went very well. So I entered the industry in a very unusual way. 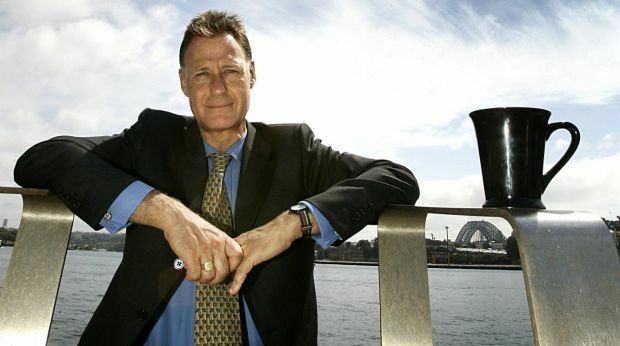 When Peter Hall relocated to London he asked me to stay on with Hunter Hall to oversee all the Australian investments. He also asked me to start investing in Japan in a big way. So I really started my stock-picking career in Japan of all places, having already spent - and this is, I think, a very important point - fifteen years looking at that market and economy as an outsider, as a journalist. Q: What has been your most painful investing lesson, and what did you learn? It probably wasn't the biggest loss I ever had but it was certainly the most painful loss. We had an investment in Japan, a company called Seiko Epson, which makes printers. The company looked very cheap on paper and looked like a reasonable growth story. It then had some bad results, which I ignored. It then reported a second run of bad results, and the stock sold off, limit down. The important lesson I learned from that was to cut my losses, walk away and reinvest the remaining capital, and to not to let it get to me too badly. It's a lesson that my colleague Chad and I share in common. Perhaps he learned it from a textbook, while I learned it from the school of hard knocks! That is - when things aren't going your way, to cut your losses and get out. Q: What was one of your most successful investments and what did you learn that you still apply today? Yeah, I think one of my most successful investments in recent times has been in an Indian company, Rural Electrification Corporation (NSE: RECLTD). It's a company that I've owned three times and made money from each time. We thought it was very well exposed to what we thought would be a major focus after the election of Prime Minister Modi. That is: building infrastructure, particularly in rural areas. It did very well for us. We then cut it when it got overvalued in about mid-2015. It then sold off aggressively, and in mid-2016 we bought it again on a PE of 3. The lesson is really important: When you know something well, back your judgment, and buy aggressively. Further to that, we don't own stocks forever but we do own knowledge forever. So if you have knowledge about a company, just because you decide to sell it doesn't mean you should stop looking at it. Q: What’s one of your core skills that you continue to use? I spend a lot of my time trying to demolish my own inherent bias towards buying a stock. If I can't succeed in that in an honest way, then I really am quite excited. People also often wonder why I spend so much of my time reading novels, and so on, and the answer is that I really want to understand the background of things. You can't just wander into another country and assume everything's like Australia. If you don't have a sense of the cultural differences you're going to really struggle. The other thing is I think, ultimately, management quality makes a big difference. I do still get very excited when I meet truly extraordinary management, and that's one of the big buzzes that I get out of life. It makes me still love this job. Q: What are the benefits of having a team approach? We have four senior team members. Chad and I are the leaders and have veto power over anybody else, including ourselves, but it is very much a team culture. We've got myself, who's primarily a stock picker and a frontiers man, who's not afraid to go anywhere to do anything and try anything new. You've got Chad who's got stock picking skills and also comes from an economic background. My colleague Geoff Wood, who's had a risk management and macro background, and then James Tayler who heads our research team and is obsessive about the details of a company's finances. So I think that combination works very well, and we've got a strong team of young associates and analysts who support us. Q: Are there any red flags you avoid? I don't like hype. For example, I don’t particularly enjoy attending investment conferences where large stockbrokers invite all the most fashionable companies of that moment to present. I tend to avoid those affairs because, typically, there's an adverse selection problem. The kind of companies that I want to go and see are the ones that may not be totally out of fashion, but not high-fashion either. It's a balancing act. Humility - accepting the market is right most of the time, but believing that you can actually find something different and special. If you can’t find the one or two that are not fully understood, you probably shouldn't be in the game. Q: Finally can you share some lessons from your time investing in Japan? In the last 45 years, I've seen Japan evolve from displaying hubris about global ambitions, to displaying a complete lack of self-confidence. So one of the opportunities in Japan is that there are a lot of very interesting, domestically-focused companies that are tearing up the rule book and doing things differently. As there's such a lack of interest in domestically-focused names in Japan, you can get some tremendous opportunities there. One example, is Daiichi Kosho, which operates as the world's largest manufacturer of karaoke equipment, and operates Japan's second-largest chain of karaoke bars. We don't have the stock anymore because it's gone up too much, but I love the incredibly hard-driven entrepreneurial view they displayed in a country where you don't always see that kind of thing any more. A suit wearing frontiers man... Not sure Clint Eastwood would approve, but some great reflections. Seems like the key ingredient to your success and longevity Jack is the same as it is for so many industry stalwarts; an abiding interest in the Darwinian nature of business. Sounds pretty good to me.